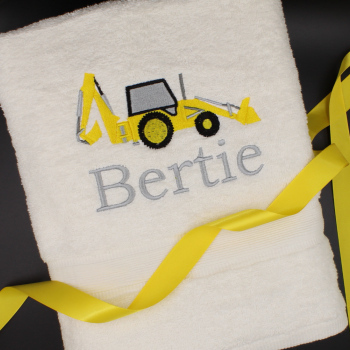 Personalised towel with embroidered yellow digger and a name of your choice. 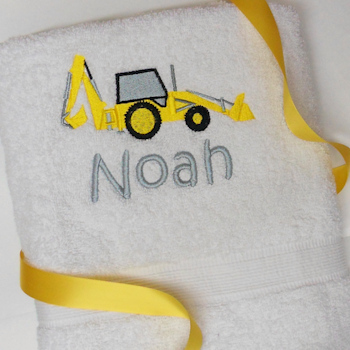 Personalised towel with embroidered yellow digger and a name of your choice. Please select the towel colour you prefer. Choose the letter font style and embroidery thread colour for the name. This combed cotton 500gsm bath sized towel measures 75 x 125cm and is great for home use or swimming. Personalised gifts are made to order in about 2 working days.